Find out who has cited a particular work with this collection of resources. 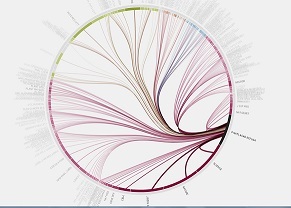 There are several websites that visually map citation information including VOSviewer.com, Well-Formed, and Web of Science has a "View Citation Map" feature. Journal Impact is the amount of times articles from a specific journal are cited combined with the number of articles that the journal publishes - this is known as the impact factor: http://www.sciencegateway.org/impact. H-index measures scholarly impact at the author level - the amount of articles a scholar published combined with how many times those published articles are cited creates your h-index. Eigenfactor is intended to measure the overall importance of a scientific journal. Similar to the journal impact factor, the Eigenfactor was developed to be a more robust tool, and considers how broad the journal's contribution is. Journal Citation Reports allows the user to evaluate and compare the impact of journals. To find your h-index you must create a Google Profile and have a Gmail account. Google Scholar Citations then collects your publishing and citation information and creates your h-index. You can choose whether to make your profile Public or Private. When searching for other authors' h-index, Google Scholar only gives access to authors who have created a public profile. The eigenfactor metric, and tool, was developed by Jevin West and Carl Bergstrom at the University of Washington. Search by journal name to find its eigenfactor. Altmetrics is the use of alternative, or nontraditional, measurements to better understand the extent of a work's scholarly impact. Examples include number of article downloads, item views, and social media mentions. Search for "citation analysis" to see current articles on how this topic is viewed in higher education settings, and the broader issue of scholarly publishing. Take a look at our guide to altmetrics, the use of alternative, or nontraditional, measurements to better understand the extent of a work's scholarly impact. A 2008 report on the use and abuse of using citation analysis to judge research.